For a brief moment, it seemed that California’s fire season was over. The fires in the northern part of the state that claimed 7,500 buildings, 44 lives, and $1 billion in damages were finally quenched in late October. 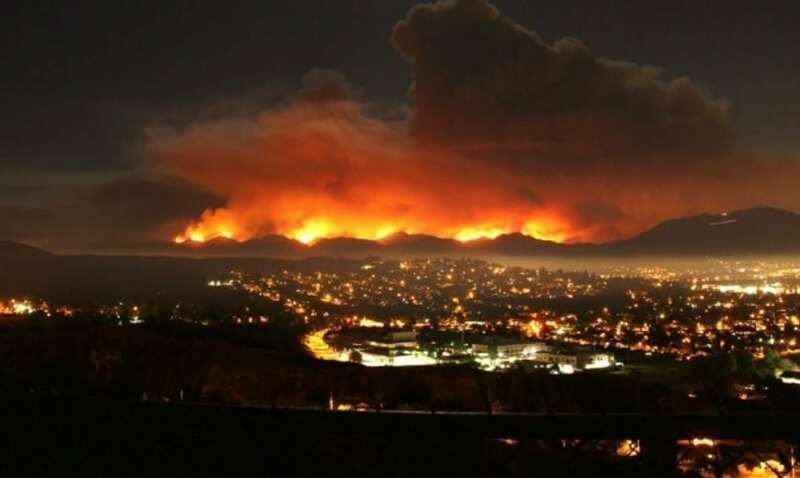 However, this week, the Santa Ana Winds returned to the state in full force, causing major fires to break out over Ventura County, just north of Los Angeles. As this is written, there are five fires total, burning through acres and acres of Southern California. The largest fire, “Thomas fire,” spread over 65,000 acres from Tuesday night to Wednesday morning and continues to spread as the hot, dry Santa Ana winds continue to blow anywhere from 40 to 80 miles per hour. Just overnight, at least 150 structures were destroyed and 27,000 people evacuated. Besides the Thomas fire, there are four others raging from San Bernardino to Santa Clarita. While the Santa Ana winds are no stranger to California, this event has made this the worst fire season on record for the state. Most Santa Ana events are triggered by pressure gradients, or the difference in pressure over a given distance. However, this isn’t completely unusual for December in California. Ironically, the much needed rain that California received last winter may have provided the vegetative fuel for the current fires. While the notoriously dry state experienced a wet winter last year, this winter has been drier than normal. As UCLA climate scientist Daniel Swain told The Verge, “By this time of year, usually, there’s been some rain that’s wetted things down.” But currently, “it’s just as dry as it was in the summer months,” he explains. The state usually gets most of its rain between October and May from storms that roll in from the Pacific. According to The LA Times, the region usually experiences around two inches of rain by this time of year. Currently, the area has only seen about five percent of that, or one-tenth of an inch. This abnormal dryness has many looking towards climate change. And, while California is no stranger to dry weather, this current lack of rain mirrors that of the record-setting five-year drought that plagued the state from 2011 to 2016. In addition to the hurricanes that ravaged many parts of the world this year, many believe these fires act as further evidence of the adverse effects of climate change. Earlier in the week, one citizen wrote to The LA Times asking Congress to look at the fires and do something about climate change. Regardless, until the Santa Ana’s die down or California gets some much needed rain, the state may continue to burn over the next few days.